I know, it was 93 yesterday and today is supposed to be even hotter. I can’t help it. Last week it was in the 50’s when we woke up, and I just had to break out the pumpkin! Of course, I had to make pumpkin bread first. It is one of my favorite fall breakfasts or desserts or snacks or any time of day foods! This pumpkin bread was a favorite of ours last year, so it only seemed fitting that it would kick off the pumpkin recipes this year! I made some changes to the original recipe that I had last year, and I think we finally settled on a good balance of healthy and flavorful. I made as many healthy substitutions as possible while still keeping the texture and rich flavor that I remembered. Greek yogurt is used as the main source of fat in this bread and only 2 1/2 tablespoons of butter are used in the frosting! In order to maintain the richness of the buttercream frosting, I incorporated the salted caramel right into the frosting instead of drizzling it on top. That allowed me to cut back on some of the sugar and butter that last year’s version contained. The bread is filled with cinnamon and other fall spices that give it flavor without added calories. Cut a thick slice and enjoy with a large glass of milk or mug of hot coffee. You’ll find that it’ll be your new favorite way to start your day! Preheat oven to 350. Lightly spray a 9x5 loaf pan with non-stick cooking spray. Whisk together flours, cinnamon, nutmeg, allspice, cloves, salt, baking soda, and baking powder. Set aside. In a separate bowl, using a stand mixer or an electric mixer, beat eggs, brown sugar, and sugar at medium speed until creamy. Beat in vanilla extract, yogurt, and oil until well-combined. Add pumpkin and beat until combined. Slowly add in flour mixture and beat until just combined. Scrape down sides of bowl as necessary. Spread batter into prepared load pan. Bake for 50-55 minutes or until toothpick inserted in the center comes out clean. Allow bread to cool in pan for 10 minutes before removing to a wire rack to cool completely. While bread is baking, combine brown sugar and water. Bring to a boil over medium heat. Stir constantly to prevent scorching. When mixture comes to a rolling boil, turn off heat. Stir in ½ tablespoon butter and salt until combined. Allow to cool completely while bread is cooling. Slowly add confectioner's sugar and beat until creamy. Spread frosting over cooled bread. If you want more of the sweet and salty flavor, sprinkle with coarse salt. Store leftovers in the refrigerator if your house is warm to prevent frosting from melting. This is gorgeous!! I love it! So excited for fall and all things pumpkin, caramel and hot! This bread looks and sounds amazing! I am in love with this bread!!! Noooooo falllll stay away! Let it keep being summer!! It’s hard for me to let go of summer, but a slice of this beautiful bread would sure be lovely! PUMPKIN!!! Oh my gawd, yes!!!! I’m soooo not ready for summer to be over, but I’m totally ready for pumpkin season to start! Such a great kick off! I love pumpkin. This bread looks amazing Jessica!! I am loving all these pumpkin recipes popping up everywhere! This looks delicious, ESPECIALLY that buttercream! Haha, recipes like this are what keep me looking forward to cooler weather! 🙂 I love, love all pumpkin baked treats, and this bread sounds heavenly! This bread is right up my alley. 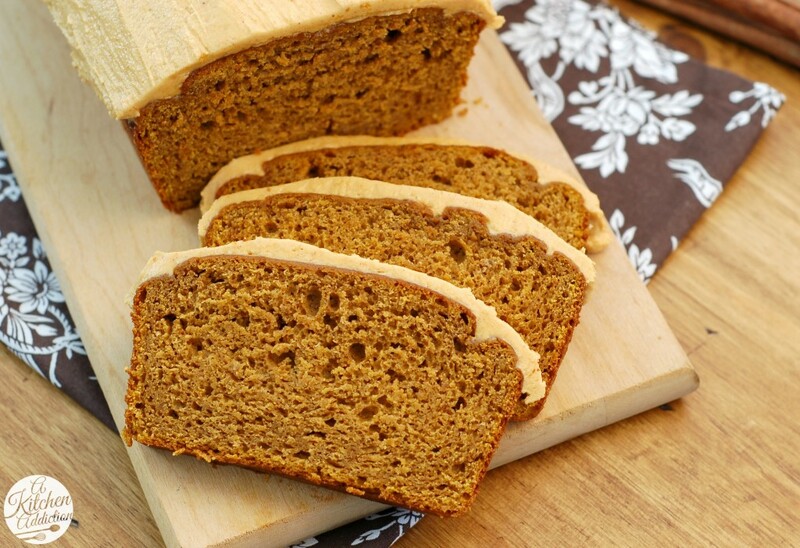 I can eat pumpkin bread year-round – so ready for fall weather and baking! You just put all my favorite words into one amazing recipe title, haha! This bread looks heavenly! i broke out the pumpkin this week too! this bread looks amazing…that frosting! I like the way you think. It was in the 90’s here too and I made and photographed my first pumpkin recipe today. I heart all things fall…especially pumpkin! This bread sounds absolutely amazing. Love the salted caramel frosting! Yum! Gorgeous bread, I love that butterecream! I cannot wait till fall! Bring on the pumpkin. I love every single word in that title. LOVE! Oh yum! Pinned this – I’m ready for fall foods too. Bring on the pumpkin recipes! Oh wow this looks like an amazing way to welcome fall! Now if it would just cool off a little! It was 110 degrees today and I don’t care! I’m all about this bread!! This was the first pumpkin recipe I’ve pinned thus far since last winter!! I WAS dreading the return of fall (and winter) but after seeing this…it somehow seems like it will all be okay. Ive started with the pumpkin too! These crazy temps are the cause! 😛 I love this bread! And really appreciate the healthier substitutions! Wow this bread sounds beyond delicious! Pumpkin bread is a favorite around here too! But I’ve never topped my bread with frosting! I love your salted caramel! The problem would be it may not make it on the bread! Soooo ready for fall! Love everything about this bread! Wow, I can’t believe something could make me want fall so badly! This bread and that frosting look divine! YES. Pumpkin! So excited we started fall baking, cause I’ve totally started burning my fall-scented bath and body works candles and I’ve been waiting for it to be okay to start putting pumpkin, cinnamon, nutmeg and apples into everything I make. But this cake…OMG. Going on the must-bake-ASAP list. Pinned! That frosting looks amazing-I love salted caramel. Yum! Um, this makes me so happy!! Bring on FALL! I wish I was your neighbor 🙂 This bread looks incredible! I am so ready for Fall! I love love love it and the flavors that come with it! This just looks almost to good to eat! Love all things pumpkin! Pumpkin reminds of Fall and it’s just around the corner for sure! I can’t WAIT to make this! One quick question though, I really don’t care for sugar substitutes, so if I were to make this with white sugar, how much should I use? Sorry for the delayed response, somehow your comment ended up in spam?! You can just use 1/4 C sugar. Oh, I am all over this! I’ve gained a reputation for my pumpkin obsession in recent years, and friends are already sending me links to my favorite beverages and pumpkin-inspired decor. 🙂 The best way to enjoy pumpkin is, of course, to eat it! Can’t wait to try this! 93 or not, I’m ready for pumpkin and this sounds amazing! Love the addition of the salted caramel buttercream Holy cow that sounds good! I am so ready for pumpkin season. This bread looks incredible! This is an incredible recipe. I love all the flavors in it yet you still made it healthy and low fat. Amazing. I cannot wait to make your bread. 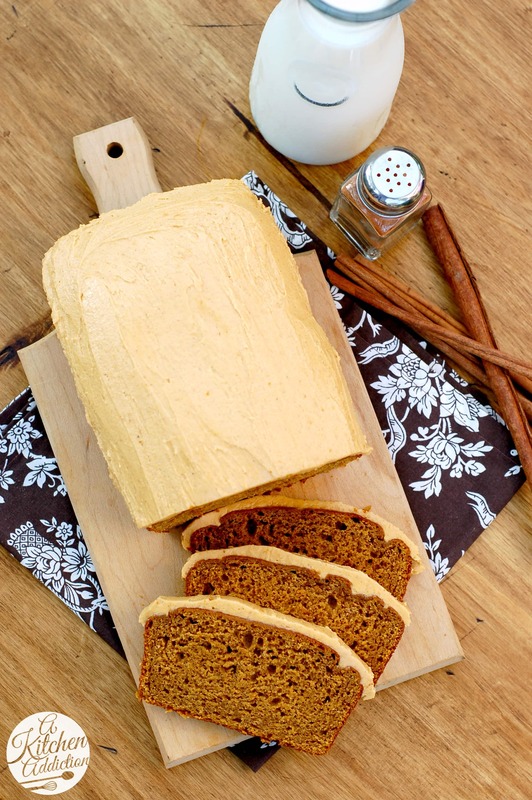 Oh, pumpkin buttercream on pumpkin bread?! This looks absolutely stunning & I’ve pinned it to my bread board 🙂 I followed you here from the party at 6 Sister’s Stuff & would like to invite you to come link up with me on Tuesdays at Tasty Tuesdays, where every post gets pinned! Hope to see you on Tuesday! Sold. Sold. Sold. The title has me craving pumpkin even though I’m hanging on to every last drop of summer! Sounds amazing! I can’t wait until the temperature drops so I can make this bread, it looks delicious!!! Holy Hannah this looks amazing!! So do you just put pumpkin in a blender for pumpkin puree, or does this come in a can? You can’t use Libby’s Pumpkin? You can use the pumpkin puree that comes in a can. I just wanted to clarify that it wasn’t the pumpkin pie filling that comes in the can. Aaaack!!! This looks soooooooo amazingly good! All hail pumpkin season! Making this! Oh please, anything that may bring fall quicker! Florida summers are painful! This has been put on my list for today’s bake. Can’t wait! Thank you! I love this recipe. I made 2 for the first time, both came out delicious. Now my boyfriend is requesting it for Thanksgiving. Not one bread but two, he said “my family will devour the bread, so 2 please!” Thank you for sharing your recipe! Can this bread be baked in a bundt pan? If so, is there any adjustment in the recipe ? I have not tried baking this bread in a bundt pan before. I am afraid that it wouldn’t rise like a cake and would end up being too dense. Sorry that I can’t be more of a help! Thats ok. thought i asked. Thank you!! I am trying to make the frosting and I don’t see how you can bring 1 1/2 T brown sugar and a 1/2 teaspoon of water to a rolling boil. Is that a typo? I mixed it together and it’s dry. Sorry for the delayed response, your comment somehow ended up in my spam folder! The directions are actually 1/2 tablespoon which will give you another teaspoon and just enough moisture for the brown sugar to dissolve when stirred into the water and eventually boil. Hope that helps! 🙂 Sorry that it wasn’t clear. I have cooked my bread for 55 minutes and the outside has browned up nicely but the inside is still runny. Should I cook it longer at the same temperature or turn it down? Thanks. Sorry for the delayed response, your comment ended up in my spam folder. I would put aluminum foil over the top and continue to cook it at 350. 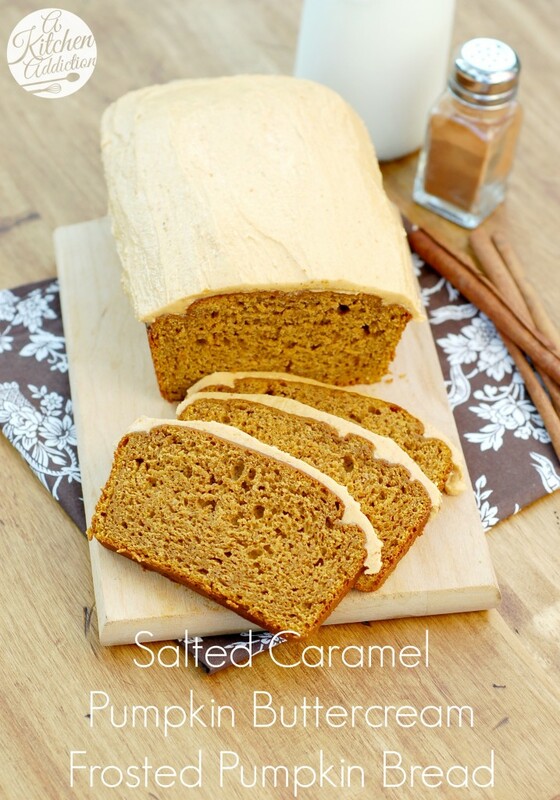 Wow…this salted caramel pumpkin buttercream frosted pumpkin bread definitely looks yummi! I am obsessed with healthy desserts!I love your recipe cuz it contains healthy ingredients! 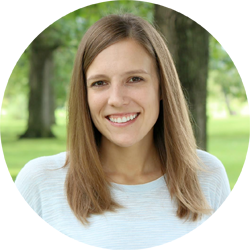 Thanks a lot for sharing Jessica!